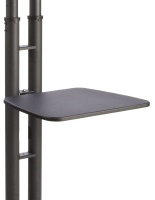 This wide black AV equipment shelf is designed to coordinate with our MB line of TV stands. 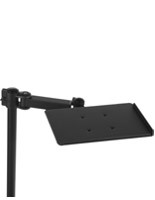 Each 27.75" wide fixture is made from durable MDF with a rich black finish. 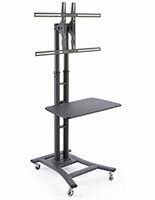 The 16" deep black AV equipment shelf is a great add-on that will easily accommodate a variety of AV accessories. 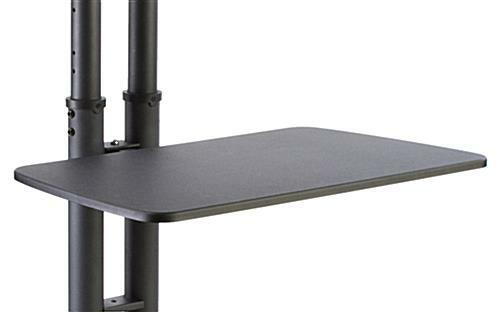 This versatile unit is an ideal choice for holding laptops, tablets, DVD or media players, equipment, trade show accessories, cameras and much more. 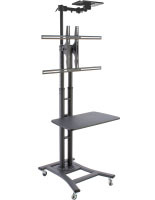 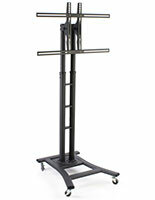 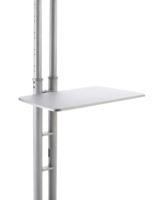 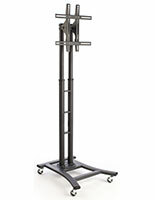 The MB stand AV equipment shelf's design allows it to attach easily to the television stands. 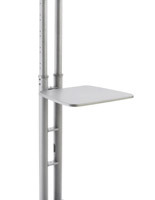 The 28" width allows the fixture to hold a wide variety of accessories.